The Spring, 2019 Seminar Schedule is located here: 2019 Seminars. The schedule lists the date, time, location, and instructor for each seminar. 1. All registration is done through the online system; the link is located below. You must set up an account; Buffalo State students, this account will be different from your student account information. 2. Payment should be made via credit/bank card at the time of registration to ensure proper and timely issuance of your completion certificate. 3. Confirmation of registration is sent to the email you list at the time of registration (please check your junk mail folder). 4. To withdraw from a seminar, access the registration system and remove the course. Your payment will remain on file and will be applied to your next seminar (of the same cost) unless you directly request a refund by contacting our office at 716.878.5907. 5. The Continuing Professional Studies office uploads the following seminars to your TEACH account IF you have completed them through our office (after 3/21/15): SAVE, Child Abuse, AUT, and DASA. The name on your seminar certificate MUST exactly match the name you have listed on your TEACH account. 6. 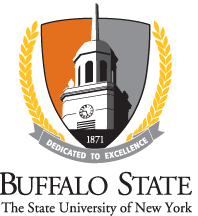 The Continuing Professional Studies office uploads seminars taken at Buffalo State, by Buffalo State students, to your Degree Works audit. Seminars taken through any other venue must be provided to this office for upload. Hard copies can be delivered to CLEV 210 (please provide a copy, as it will not be returned to you); electronic copies may be emailed to ncprog@buffalostate.edu. Harassment, Bullying, and Discrimination Prevention and Intervention Workshop (DASA) - This workshop is designed to fulfill the harassment, bullying, and discrimination prevention and intervention training required under the Dignity for All Students Act (DASA). The workshop objective is to address the social patterns of harassment, bullying, and discrimination. It will also cover the identification and mitigation of harassment, bullying, and discrimination; and strategies for effectively addressing problems of exclusion, bias and aggression in educational setting. Successful completion of this workshop will meet the certificate requirements. Autism Spectrum Disorders Seminar (AUT) - This training will present a comprehensive overview of the characteristics of students on the autism spectrum including Autism Disorders, Aspergers, and PDD-NOS. PLEASE NOTE: It is the responsibility of the student to know which seminars are required for your program, and to ensure timely completion of all seminars prior to graduation. The Online Registration System may be accessed HERE.